Carrie Bennett is an artist, art director & educator from Lighthouse Point, Florida. She is a painter, chalk muralist, & arts editor for both Lighthouse Point & Pompano Magazine. Bennett directs art workshops, chalk festivals & public art collaborations in her local community while teaching art full time to k-8 students. 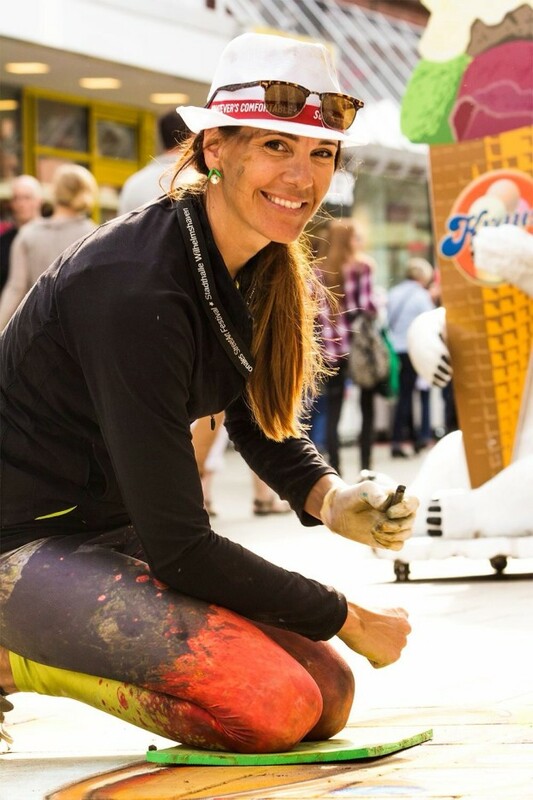 While not teaching art she travels both locally & internationally for street painting events, creates live art for events, and helps to connect artists of all ages. Her passion is to see global transformation through powerful public art and to raise up artists to transform their city and soar in their creative vision.